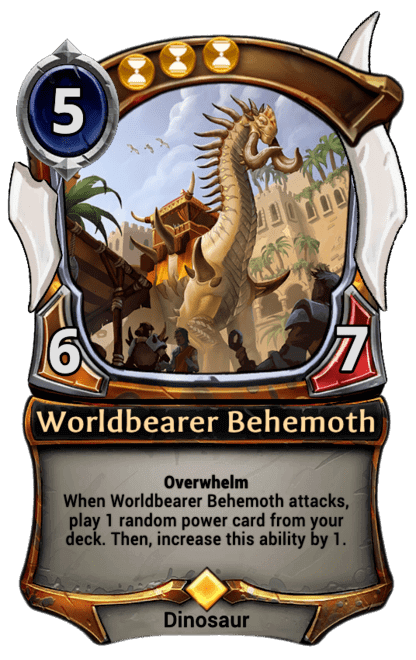 When Worldbearer Behemoth attacks, play 1 random power card from your deck. Then, increase this ability by 1. This is one of the Dusk Road legendaries that is a 5 cost, 3 influence unit with "... Then, increase this ability by 1".